A free clinic at the University of Arizona is providing underprivileged patients with treatments they need. 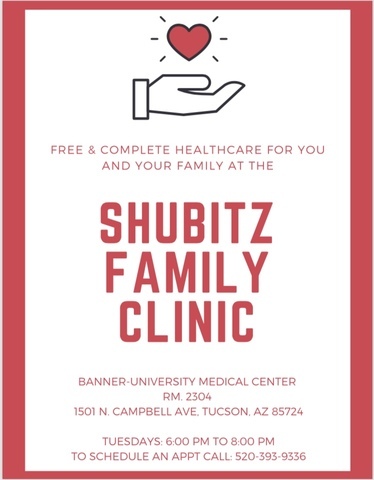 The care comes from University of Arizona students at the Schubitz clinic which is located at Banner UMC. University of Arizona medical student Ryasha Daulat says when she's not studying, you'll find her at the clinic. "When I was applying to medical school, this was one of the reasons I wanted to come to UA," she said. Once a week, dozens of patients coming from all over Southern Arizona, can get routine check-ups, blood work, and even flu shots. All services are provided by the University of Arizona College of Medicine students under the supervision of volunteer physicians.